From a long time astrologers were looking for a book containing easier methods of readiong 100 years Panchang because only the letters of Hindi script were used in the Panchangs that were available in the market till date. Therefore those readers who are versed with English script only were finding it difficult to understand numbers of Hindi Panchang. Therefore for catering this need Future Point is publishing easy to understand "Shatabdi Panchang" i.e. Panchang for 101 years starting from 1930 - 2030. Its credibility and accuracy is unquestionable as it is based on authentic Shastras like Nirnay-Sindhu and Dharma-Sindhu. In nutshell we can say that that this Panchang shall not only prove helpful for astrologers but also for the common man for getting most authentic information regarding fasts and festivals. 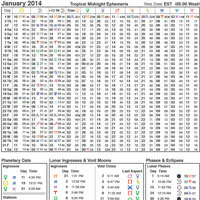 Hundred years Ephemeris with all dates/timings. All festivals of India with correct date/timing of celebration. Details of Solar and Lunar eclipses. Based on most accurate astrology software of Future Point which is well acclaimed globally for its accuracy. Therefore, all the information given in this Panchang is absolutely accurate. Planetary degree table gives degrees of all the planets including Uranus, Neptune & Pluto but the degrees of Mercury are given after a regular interval of five days. Therefore, for calculating the planetary degree of planets the reader has to use the average method and for that purpose that interim period has to be selected in which the birthdate of the native falls. After selecting an interval the motion of planets in 10 days shall be calculated which would be the motion for one single day and in the process we shall be able to know the motion of a planet per 24 hours. The given time is based on 05:30 in the morning. Therefore by calculating the difference between time of birth and 05:30 the planetary motion shall be calculated and finally this value shall be added in the average motion of planet in an interval of 10 days. If the planet is retrograde then the average motion of planet should be subtracted from the highest motion of the interval for knowing the planetary degrees at time of birth. For Rahu the true and average planetary degrees both are given. The planetary degrees of Rahu, Uranus, Neptune and Pluto are given for the first day of each month and in addition to that the Ayanaansha of N C Lahiri is also given for the first day of the month. The date of Bengali calendar is also mentioned on the first day of each month. In this table the Punjabi calendar has also been incorporated and the Punjabi dates have been given after a regular interval of ten days i, e like the Punjabi calendar dates corresponding to 1st January, 11th January, 21st January and 31st January have been shown. In this way from the beginning of the year till the end these dates have been shown continuously after regular interval of 10 days. For Moon degree the value for each day has been shown by considering Indian Standard Time as the basis for it. As Moon is the fastest moving planet and the Nakshatra, Rashi and Dasha of the native is also based on it so it is considered most important. Chaitradi Tithi are shown in the same table on weekly basis so on the basis of it the readers would be able to know the Tithi and Paksha of a specific month of a specific year. With the help of this Shatabdi Panchang Table the astrologers would be able to know the English date of birth of a native who knows his Hindi date only. In Vratas and Festivals there are always doubts and debates and there is no such Hindu Institution the decision of which can be accepted as final one, moreover, in Hindu religion there is found diversity among scholars in their opinion about celebration of festivals. It has also remained under the influence of regionalism. For solving these issues the views of all scholars along with regional opinions have been accepted and considered respectfully while making the list of festivals in a coordinated form so that there does not remain any doubt and dispute in future. The list of festivals is given in the starting of Panchang. The incorporation of all festivals was not possible therefore only the important festivals only are taken and especially those festivals are taken into account about which there arises a situation of doubt usually. 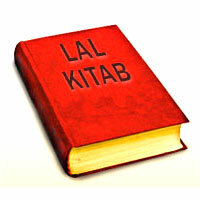 The time of Delhi has been taken as basis for making this list of fasts and festivals. The table of Rashi entry of planets is prepared in such a way so that it becomes easier to know that which planet is changing its Rashi according to Tithi and time. This shall facilitate the readers to know that in a specific month and year when and which planets shall be changing their Rashi? 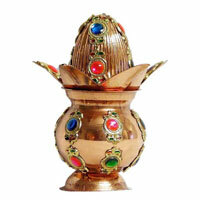 Planets like Sun, Mercury and Venus change their Rashi quickly therefore separate columns are created for them whereas for slow moving planets like Mars, Jupiter, Saturn, Rahu, Uranus, Neptune and Pluto one single column is given as they change their Rashi very less, once in a year or not even once in a year at times. 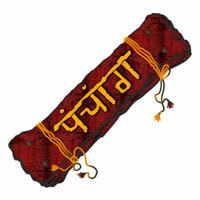 In addition to that the Tithi and timing of Amavasya and Purnima is given by using Chaitradi Calendar. Like Rashi entry of planets the motion of planets i,e retrograde and direction motion and rise and combustion of planets has also been given Tithi and time wise which would facilitate the readers to know that a specific planet turned direct/retrograde on which date and in addition to that which were the dates of rise and combustion of the same planet. In that way this table shall help the readers to study the impact of planets easily as the dates of the table have been given serial wise. For this table the local time of Ujjain has been taken as basis because the mid longitude of India i.e. 82:30 also falls in Ujjain only and that provides the basis for Indian Standard Time. The Tithi and time of solar and lunar eclipses falling in a year are given according to Indian Standard time and both the visible and invisible eclipses in India are included in it and in addition to that the starting and ending time of eclipses is shown with the detail that in which parts of the world a specific eclipse shall be visible. These places have also been shown minutely because of lack of availability of enough space. No typing mistakes are possible since it is produced by computer without manual handling of data. This makes the Panchang authentic. Valuable suggestions for the further improvement of this Panchang are solicited. 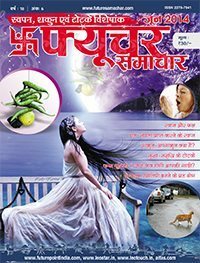 In this Swapan, Shakun and Totke issue of Future Samachar there are several interesting and informative articles on Dreams, Omens, Totke, Fast, physiognomoi, Black Magic, Totke for Marriage, Know the timing of marriage from horoscope, Satyakatha, Career in the field of Astrology, Panch Pakshi, Health Capsule, Bhagwat Katha, Vastu Prashnottari and Vastu Consultation etc.